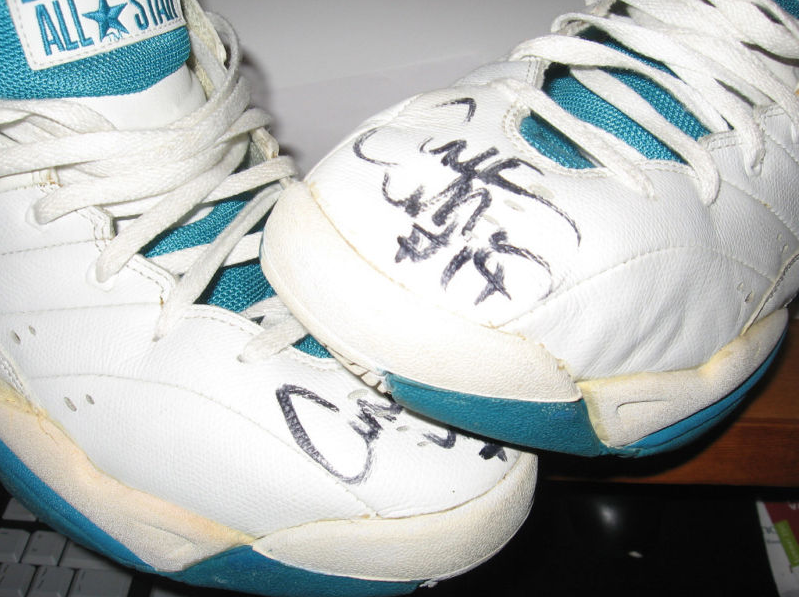 Welcome to the Converse Blog's Friday Flashback. 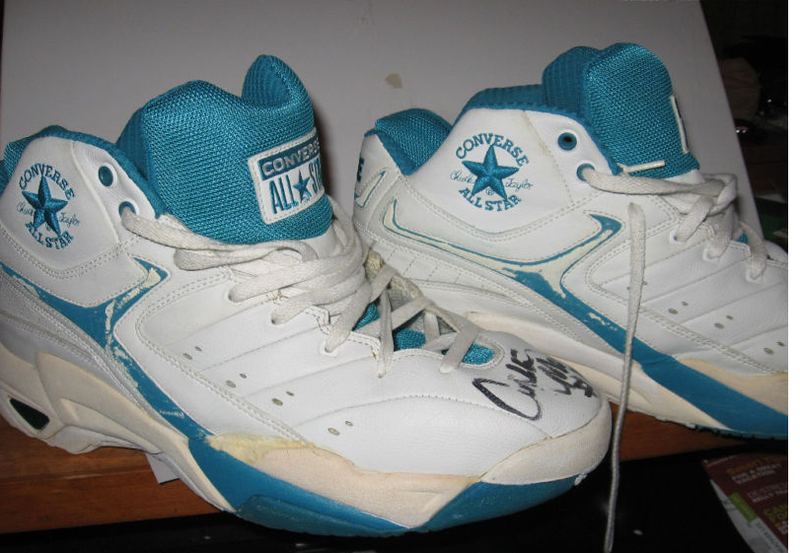 Today we get a rare look at a pair of Converse Player Exclusive basketball shoes. 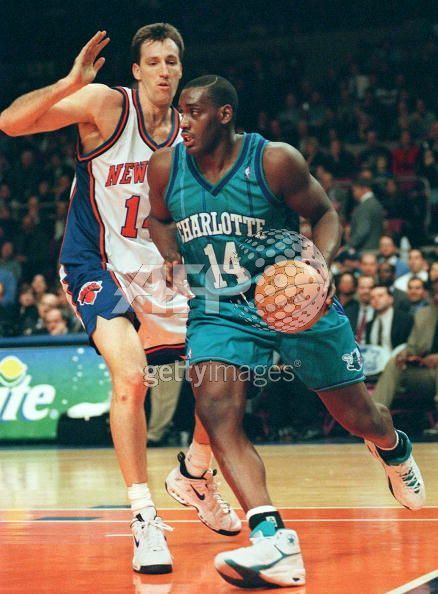 Today we get a look at Anthony Mason's Converse All Star Legend. 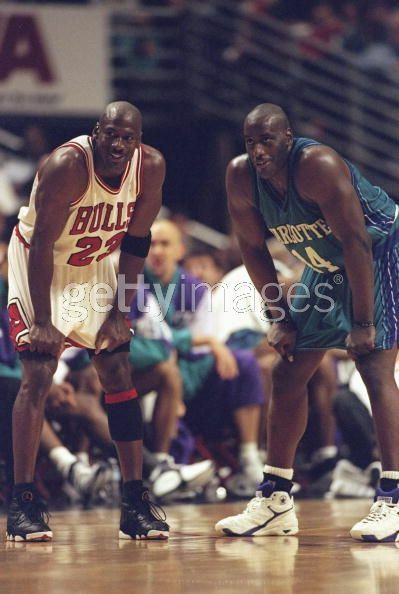 He wore these while with Charlotte Hornets in the 1997-1998 season. 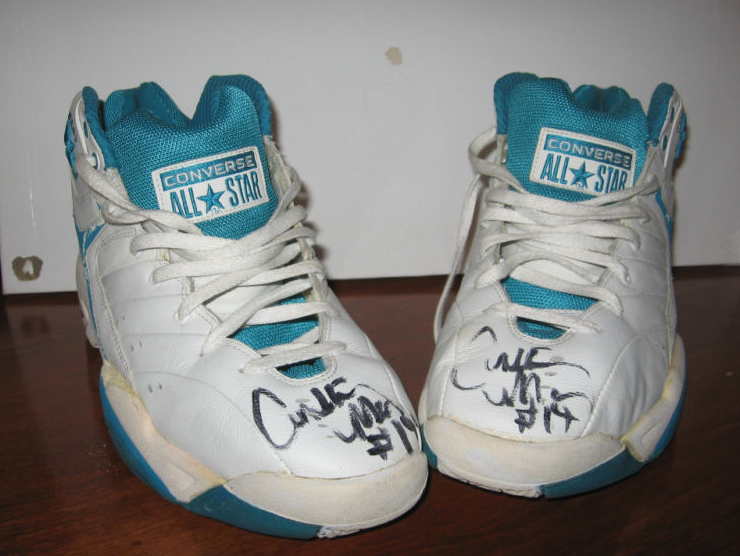 This happened to be the team shoe for that season also and it was based off of Converse Weapon. 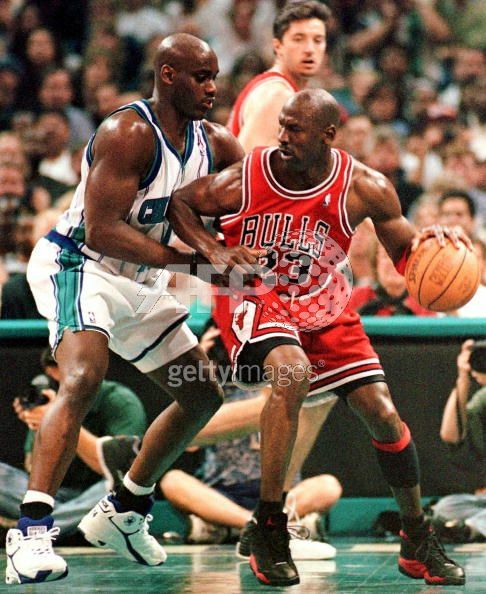 It also featured Converse React in the heel. 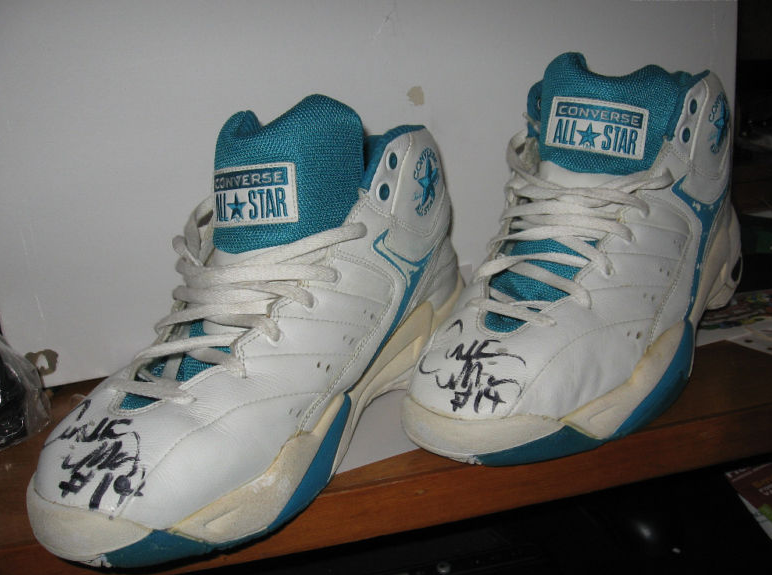 In fact there were a limited number of shoes released in Celtics colors that replaced the Chuck Taylor signature with the signature of Larry Bird. 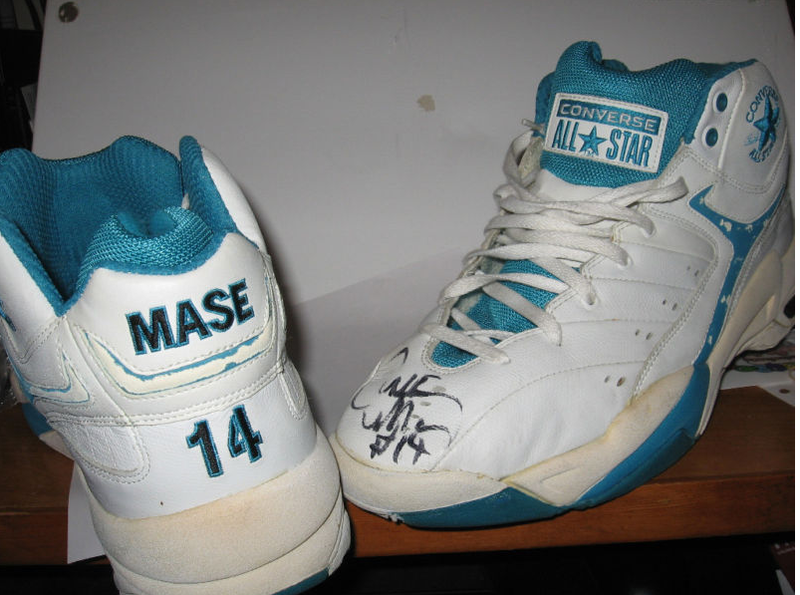 Below you find some pictures of the shoes and some pictures of Mason wearing them. 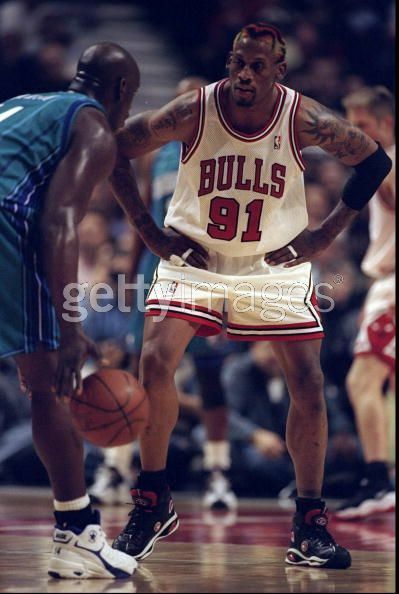 You can see him going against the Jordan and Dennis Rodman. Converse Skidgrip CVO Crochet Sample. Converse Band of Ballers 2011 is happening!!! !